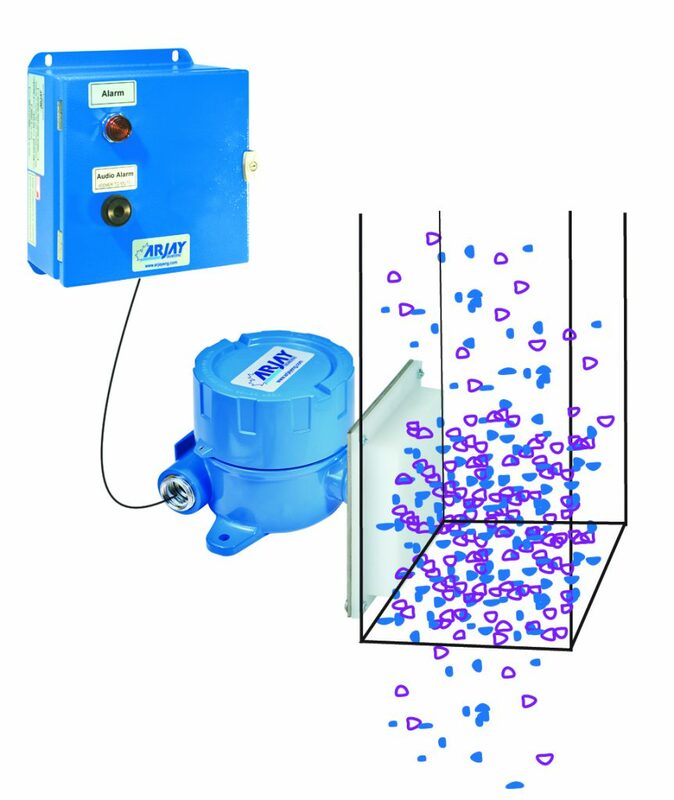 Combining the technology of capacitance with unique sensor designs provide non-intrusive monitors for bulk solids handling systems. The result is a low cost and low maintenance system to determine the presence or absence of product in a pipe, chute, or other vessel. Plugged Chute Detectors monitor a chute or vessel using a sensor mounted flush with the chute wall. The sensor indicates a normal passage of product. When the product compacts due to a plugged condition, the monitor activates a relay to turn off equipment and alert operators. The 2852-PCD sensor monitors the capacitance field in front of the sensor plate. The sensing plate forms part of the chute or hopper wall to sense the product within. The increased presence of product in front of the sensor due to a plugging condition increases the capacitance field and initiates an alarm. The sensing plates are embedded into a polyethylene plate which provides monitoring without any intrusion into the product flow.